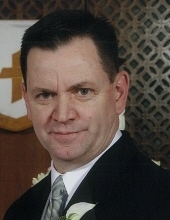 Timothy "Tim" W. Hinshaw, 59, of Iowa City passed away on September 8, 2015 at his home. Tim was born in Newton, Iowa on August 7, 1956, the son of William "Bill" and Rosalie "Rose" Stamper Hinshaw. He graduated from Kennedy High School. Tim was a long time employee of Hy-Vee and most recently worked at Ace Hardware Lenoch & Cilek. He is survived by his children, Brian (Aja) Hinshaw of North Liberty and Amy Sanders (Paul) of Iowa City; granddaughters, Alice Hinshaw and Jade Sanders; his father, Bill of Marion; sisters, Sandy Thompson (Marvin) of Cedar Rapids and Linda McClintic (Glenn) of Cedar Rapids. Tim was preceded in death by his mother and his brother, Donald. Timothy W. "Tim" Hinshaw obituary.